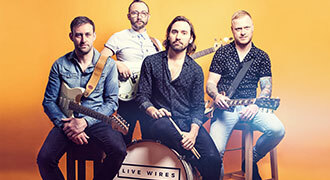 Live Wires perform at over 80 private parties and corporate functions every year. We understand that entertainment is such an important part of your party which is why our aim is to make this part of your planning as easy and stress free as possible. Our standard service includes all the essentials you'll need for an amazing party. It's designed to minimise costs by including everything you'll need for a "normal" sized wedding or party. 10% off Flash Bak Photo Booth when you book us! 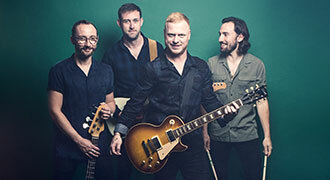 Once you’ve decided we’re the right band for you, you can rest assured that your entertainment is in good hands. We’ll be in touch around 3 weeks before the party to finalise the details, timings, song choices and any other queries you may have. In the run up to your event, you’ll have a dedicated event coordinator from our agency Alive Network who will be more than happy to liaise with you on any issues, questions or concerns. A standard private party or corporate event for Live Wires starts with our prompt arrival at your venue (usually 5 or 6pm). We load in our equipment, set up and sound check as quickly and discreetly as possible. This usually takes us around 60 minutes. On the day, we will liaise with you or the event manager at your venue to confirm the timing of our first set. After our first live set, we'll take a break (usually around 45 minutes) which is the ideal time to serve the buffet if you are having one. During this time we'll leave a play list of carefully chosen music running in the background through our PA system. If you choose our DJ upgrade option, a member of the band will run the DJ rig and be on hand to take requests and make announcements. After we’ve set up and sound checked we will put background music on through our PA system and go to change into our stage clothes. You will need to arrange for the venue to provide us with a secure changing room (not the toilets), and your catering to provide us with a hot meal and soft drinks/tea/coffee. This is standard for all private event bookings for any band. If we can't eat before the first set (EG: the event is behind schedule and we need to perform right away) - then we'll eat during our first break. If you have any other questions or would like to discuss things with us in greater detail, please feel free to get in touch with our agent, Clare on 0845 226 3166, who will be more than happy to discuss your requirements.